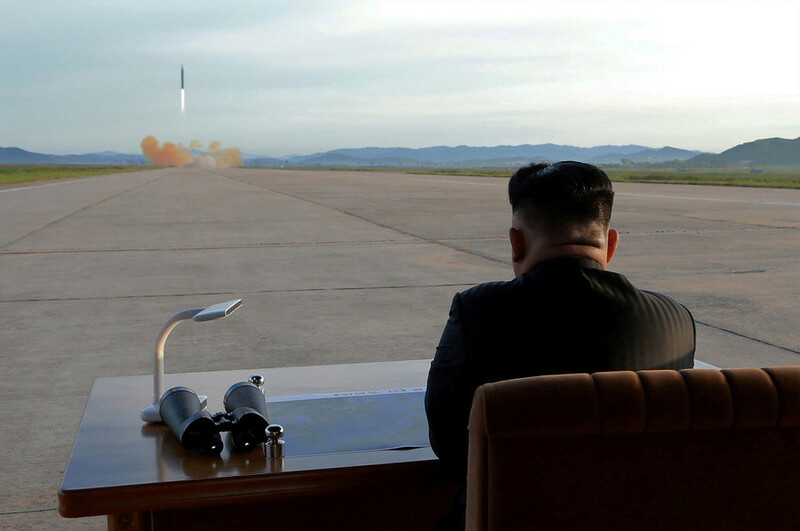 North Korea has claimed its latest launch was a new type of intercontinental ballistic missile, the Hwasong 15, which can hit all the US mainland. The announcement was made on North Korean state TV on Wednesday, following the launch on Tuesday (earlier Wednesday Pyongyang time). The missile flew some 1,000 kilometers eastward, according to the Pentagon, before falling in the Sea of Japan without causing any damage. Pyongyang's statement also declared that the North now has a full-fledged nuclear force. "North Korean leader Kim Jong-un announced that the country has realized the great historic cause of completing a state nuclear force," it said, as cited by Yonhap. 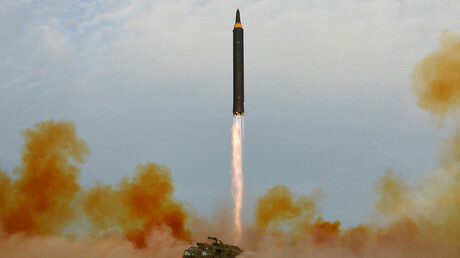 The missile launch prompted an immediate response from South Korea, which launched its own missile-firing test minutes later. The US, Japan and South Korea have called for an emergency UN Security Council meeting in response to the launch. The meeting is set to convene in New York later Wednesday. The Hwasong-15 type missile, which Pyongyang boasts it has launched, would be a new development, with the other launches in 2017 being either the older Hwasong-14 ICBM, or the intermediate range (IRBM) Hwasong-12. North Korean leader Kim Jong-un has declared that his country's nuclear weapons development is aimed solely at "defending the sovereignty of the nation from the US nuclear threat and protecting the peaceful life of the people." He reiterated his assertion that no other country is under threat from Pyongyang's nukes. US President Donald Trump has called North Korea's latest launch “a situation that we will handle,” saying that it won't change his approach to the crisis on the Korean peninsula. The head of the Russian Senate's Foreign Affairs Committee said the launch, coming after a two-month break, was an act of desperation, provoked by incessant US and South Korean saber-rattling on the North's doorstep. “Pyongyang, most likely, expected the same restraint in response on the part of the West, both in judgments and actions,” which Washington and Seoul failed to demonstrate, Konstantin Kosachev said.